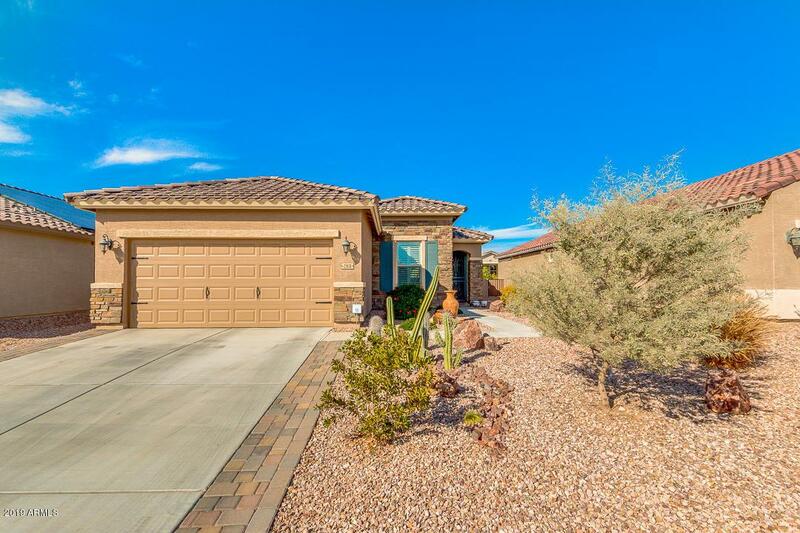 You must see this impeccably maintained move in ready 2BR/2BA 2016 energy efficient Meritage home with solar and NO CFD. This very popular floor plan includes a separate den/office, great room with open kitchen and informal dining area. 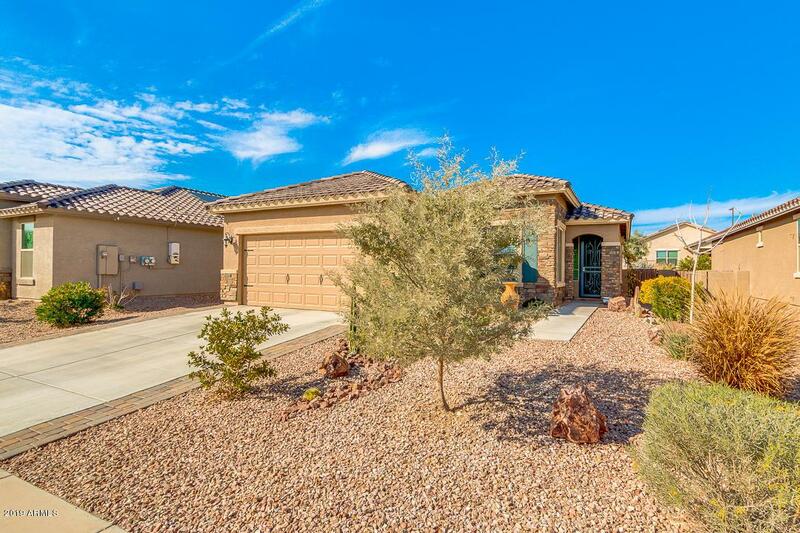 The beautiful kitchen boasts granite counters, tile back splash, stacked walnut cabinets with crown molding, breakfast bar, and white appliances! The spacious master suite includes a double sink vanity, walk-in closet and private toilet room. 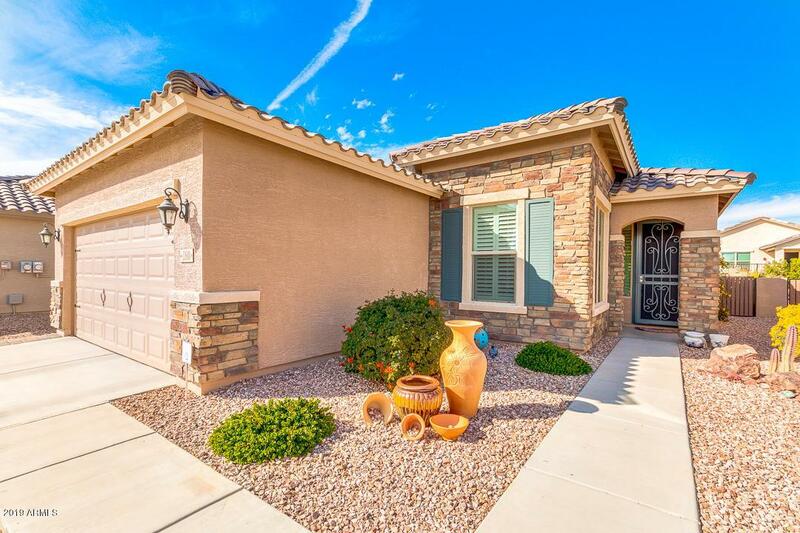 Additional features include new tiled flooring and wood laminate in place of carpet, ceiling fans, plantation shutters, extended driveway with pavers and extended garage. 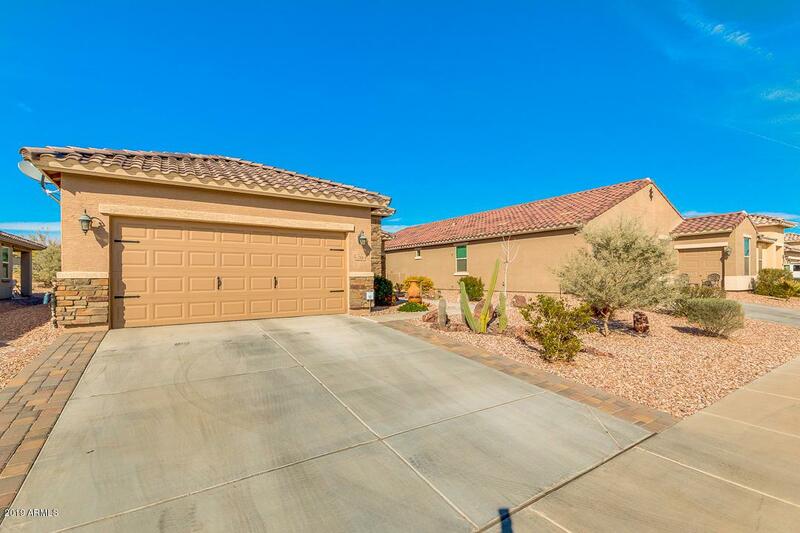 Relax outside under a covered patio with slate flooring, pavers and beautifully maintained desert landscaping. to show is to sell.